In detective fiction, details of place are important because the sleuth must always demonstrate that is was physically possible for the villain to commit the crime in the setting described. The Sherlock Holmes walking tour will trace the footsteps of Sherlock Holmes in Bloomsbury, Covent Garden, and Charing Cross. 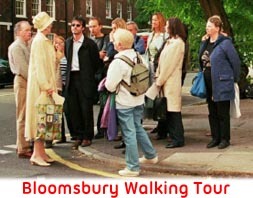 This walk was originally deveolped for the Sherlock Holmes Society of London. It includes 20 sites and will take between 1 1/2 and 2 hours. The tour will finish outside the Sherlock Holmes pub in Northumberland Avenue, where ample liquid refreshment and congenial company abound. Although Holmes and Watson are most often depicted sitting in their lodgings at 221B Baker Street, the stories reveal that Holmes knew the streets of London very well -- the obscure byways of Bloomsbury as well as the principal thoroughfares of the West End. 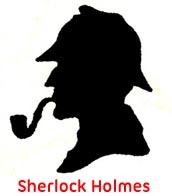 There are many references in the canon to the streets traversed during the course of various investigations, but Holmes and Watson also strolled for pleasure. The tour begins at Holmes' first London lodgings in Montague Street just off Russell Square, where Hilton Cubitt met Miss Elsie Patrick during the Queen's Jubilee in "The Adventure of the Dancing Men," and advances along Great Russell Street to the Alpha Inn where Henry Baker won the Christmas goose which had swallowed a precious jewel in "The Blue Carbuncle." Then it progresses to Covent Garden and the Bow Street Magistrates Court where Holmes identified Hugh Boone as Neville St. Clair in "The Man with the Twisted Lip." Further along is located the Lyceum Theatre where Mary Morstan in "The Sign of Four," accompanied by Holmes and Watson, met a stranger who offered her justice as "a wronged woman." Just around the corner is Simpson's in the Strand where Holmes and Watson dined in "The Dying Detective" and also in "The Illustrious Client." Further ahead in the Strand lie the Charing Cross Police Station, formerly the Charing Cross Hospital, from which Dr. Hugh Mortimer retired in "The Hound of the Baskervilles; the West Srrand Telegraph Office (aka Charing Cross telegraph office) mentioned in "The Abbey Grange;" the Charing Cross Post Office from which Beryl Stapleton mailed a warning to Sir Henry Baskerville; the Charing Cross Hotel, to which Holmes lured Hugo Oberstein in "The Bruce Partington Plans" and the Charing Cross Station from which Irene Adler and her husband fled to the continent in "A Scandal in Bohemia." Not far away in Craven Passage were located the Turkish Baths favored by Holmes and Watson, of which the disused women's entrance still survives down a passage leading to the Sherlock Holmes Tavern, formerly the Northumberland Hotel where Henry Baskerville stayed before traveling to Dartmoor. 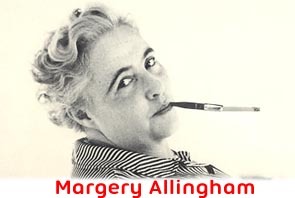 This Margery Allingham walking tour will focus on sites where Margery Allingham lived and set some of her detective stories. It features a total of nine sites. The first part of the tour in Bloomsbury will include the house where Margery Allingham and her husband, Philip "Pip" Youngman Carter, lived and then move on to several sites from two novels set in Bloomsbury, Coroner's Pidgin (1945) and Flowers for the Judge (1937).. Next we will take the Tube from Holborn to Piccadilly Circus, where we will visit the site of Albert Campion's flat before progressing to St. James Square, the center of action for Black Plumes (1940). The walk will take between 1 1/2 and 2 hours. From 1946 to 1958 the top flat at 91 Great Russell Street became Pip's London base during the week while he was a working journalist in Fleet Street, where he was editor of The Tatler. Until the 1970's this Great Russell Street address was the headquarters of P & M Youngman Carter, Ltd., the company they formed to manage their business affairs. The building also housed Margery's publisher Doubleday & Co.. The next site is from Coroner’s Pidgin (1945) adjacent to Jockey's Fields, where Allingham located her quirky Museum of Wine. Today there are no "little houses" left of the sort which constituted the original mews; either they were destroyed by WWII bombs or torn down and remodeled as business premises. However, few mews houses would have had cellars for storing wine, so perhaps Allingham had some other small dwelling in mind. Bedford Row, called Horsecollar Yard in Flowers for the Judge, is the place where Barnabas and Company Limited, the venerable publishing company, had its headquarters. Allingham used almost identical wording to that in Coroner’s Pidgin to identify its location as "the grand Queen Anne house in the cul-de-sac at the Holborn end of Jockey's fields which bore the sign of the Golden Quiver" (2). Bedford Row is the only cul-de-sac at the Holborn end of Jockey's Fields adjacent to Red Lion Street, which is also mentioned in the text. Nos. 47 and 47A certainly comprise a double house in the right spot, but neither could be described as a grand Queen Anne house. The next stop is Red Lion Square where Ritchie Barnabas, who acted as Reader, lived in lodgings. Ritchie had a secret avocation as a circus clown which he indulged during his annual leave. In his sparsely furnished quarters Ritchie exercised and practiced his juggling and tumbling routines away from the eyes of his family. The second part of the walkabout includes the site of the former Vine Street Police Station, which Allingham refered to as the Bottle Street Station. This is another example of nomenclature by association. "Vine" rhymes with "wine"; wine comes in bottles; hence, Vine Street becomes Bottle Street. As an unofficial police sleuth, Campion's flat is above the Bottle Street nick. Action takes place in Albert's flat in several of Allingham's detective storIes. In Flowers for the Judge he brings Miss Curley and Gina to Bottle Street to escape reporters when they leave Mike Wedgwood's trial. From Campion's flat the tour moves south to St. James Square, the setting in Black Plunes of the Ivory family residence and their famous picture gallery. Black Plumes, published three years after Flowers for the Judge, bears a remarkable resemblance to it in terms of setting, plot, and characterization. In both books a venerable London firm owns a pair of adjacent houses used as a family residence and business headquarters. The settings of the crimes also involve the rear premises of the buildings and the logistics are dependent on the site. The final stop on the tour is Campion's club the Junior Greys, in reality the Oxford and Cambridge University Club in the heart of clubland at 71 Pall Mall. It has a first floor window most closely resembling the one described in Allingham's short story entitled "The Old Man in the Window," in which an elderly retired actor, Sir Charles Rosemary, spent his days sitting in the window reading the newspaper and watching the world go by. The renowned detective writer Dorothy L. Sayers lived and worked in Bloomsbury from the 1920’s to the mid-1950’s, first at 44 Mecklenburgh Square and then at 24 Great James Street. Two of her novels have strong associations with Bloomsbury:Strong Poison (1930) and Murder Must Advertise (1933), while two others contain references to local sites: Gaudy Night (1936) and The Nine Tailors (1934). This walking tour shows the close correspondence between Sayers’ life and her fiction -- that is, how her great familiarity with Bloomsbury is revealed in the settings of these novels. Handouts include a map showing the highlighted route; stars and asterisks indicate actual and possible locations of sites. The tour takes approximately 1 ½ hours and visits over a dozen sites. Sayers moved to Bloomsbury toward the end of 1920 or the beginning of 1921, shortly after receiving her B.A. and M.A. degrees from Oxford University. She occupied rooms on the first floor overlooking the garden at No. 44, just to the left of William Goodenough House. Harriet Vane occupied these same rooms in Gaudy Night, as witnessed by its opening passage. Murder Must Advertise employs a setting Sayers knew well from seven years (1922-29) working as a copywriter at Benson’s advertising agency in Kingsway. A murder occurs on Benson’s famous circular iron staircase. Although most of the action in The Nine Tailors happens in Lincolnshire, references to a local tavern and St. Andrews church appear when a character tries to create an alibi and others try to cover their tracks. Greenway, a beautiful Georgian mansion set amid 32 acres of gardens a mile above Dartmouth on the Dart River in Devon, was Agatha Christie’s holiday home. For 400 years this picturesque spot has attracted owners who cultivated its gardens, which contain over 2700 rare specimen plants. A Tudor dwelling was built in 1535 and was replaced with the current Georgian residence in 1791. Dame Agatha purchased the house in 1938 and in 1959 transferred the estate to her daughter Rosalind Hicks, who owned it jointly with her second husband Anthony Hicks and her son Mathew Prichard. In 2000 the Hicks family gave the house and grounds to the National Trust. The gardens were opened to the public in 2002 and the house will open in 2009. Our virtual tour will include pictures of the interior of the mansion with Christie’s furnishings as well as the gardens. Apart from Greenway’s historical, architectural, and horticultural importance, Christie set two novels and at least one short story at Greenway: Dead Man’s Folly, Murder in Retrospect (aka Five Little Pigs) and “The Shadow on the Glass.” It is possible to trace the action of her plots on site because Christie adhered closely to the actual physical setting. As this slide tour of Greenway progresses through the house and grounds, crime scenes from all three stories will be visited. Agatha Christie was born in Torquay, Devon, and spent her youth and much of her young adulthood there, leaving only after World War I to begin life as a married woman. 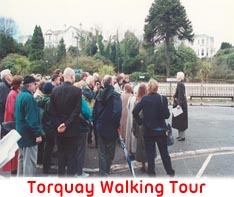 The tour along the seafront, which follows the route of the Christie Mile designed by the English Riviera Tourist Board in 1997, is enhanced by sites from several of Christie's whodunits. It takes 1 1/2 to 2 hours to visit all the sites beginning at the Grand Hotel and ending at the Imperial Hotel. Agatha married her first husband, Archibald Christie, in 1914 during his Christmas leave from the Royal Flying Corps. They spent their one-night honeymoon at the Grand Hotel on Christmas Eve and Christmas Day with Agatha's mother at Ashfield, the family home in the Barton Road behind the Imperial Hotel. On Boxing Day the couple traveled to London because Archie had to return to the war in France. 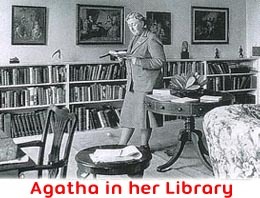 Agatha served as a dispenser in the pharmacy of the local hospital during the war where she learned about various poisons and other drugs mentioned in her murder mysteries. Adjacent to the Grand Hotel is the Torquay Railway Station where Hercule Poirot and Captain Arthur Hastings arrived at the beginning of their holiday in Peril at End House (1932), as did Miss Jane Marple when she visited Torquay in Sleeping Murder (1976). 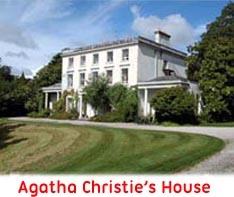 Nearby Torre Abbey contains the Agatha Christie Memorial Room with personal possessions such as Agatha's favorite armchair, her portable Remington typewriter, her plotting notebook and manuscripts, plus various awards and photographs. 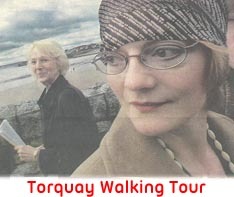 The Torquay Museum also has a permanent exhibit on Christie showing aspects of her life and times. One of her pleasures was roller skating on the Princess Pier located halfway along the waterfront not far from the Princess Gardens. Built of reclaimed land, the gardens contain ornate fountains, colorful flower beds, decorative shelters, and palm trees. In The A B C Murders (1936) Mr. Alexander Bonaparte Cust, a door-to-door stocking salesman, sat in a shelter facing the harbour reading a newspaper with the shocking news of the death of Sir Carmichael Clarke whose house he had visited the previous day. Next stop is the Pavilion, a grand concert hall manifesting exuberant Edwardian architecture where Agatha attended many performances. A plaque above the door commemorates her life and work. Archie proposed to Agatha in January 1913 after a Wagner concert. Perhaps influenced by the beautiful music, Agatha accepted. A sculpture of Agatha, commissioned in 1990 for the centenary of her birth, stands at the end of a small green opposite the entrance of the Pavilion. Halfway up the hill to the Imperial Hotel is the Torquay Yacht Club where Agatha's father spent a gread deal of his time. As a youngster Agatha enjoyed Regatta Day which featured a yacht race, a fun fair, and fireworks. Opened in 1866, the Imperial Hotel was Torquay's first large luxury tourist hotel. It attracted visitors, including royalty, from all over the world. Agatha attended many social functions there, and she chose a terrace at the Imperial (called the Majestic) for the opening scene of Peril at End House as Poirot and Hastings enjoy the fine weather. Many years later Christie also concluded the last novel featuring Miss Marple on a terrace at the Imperial. In the final chapter of Sleeping Murder, entitled "Postscript at Torquay," Miss Marple explains to Gwenda and Giles Reed over tea how she determined who murdered Gwenda's stepmother. Tommy and Tuppence Beresford, who appear in Christie's political thrillers, go to one of the large tourist hotels in Torquay in "The Unbreakable Alibi," and in their final adventure, Postern of Fate (1973), they retire to Torquay to live in a house called The Laurels which was closely modeled on Christie's family home Ashfield. Their retirement paralleled Christie's own and preceded her death by only three years. Why not conclude the tour by stopping for a cup of tea on the terrace at the Imperial? This two-hour walking tour will visit places where Dashiell Hammett lived, worked, and played in midtown Manhattan. Sites will include hotels where he wrote famous tough-guy P.I. stories, a few blocks from the offices of his publishers Black Mask magazine and Alfred A. Knopf, Inc. The tour will focus principally on The Thin Man, the only novel Hammett set in New York. The novel's title is derived from the joke told late in the story about the missing inventor, Clyde Wynant, who was so thin that he had to stand in the same place twice to throw a shadow. 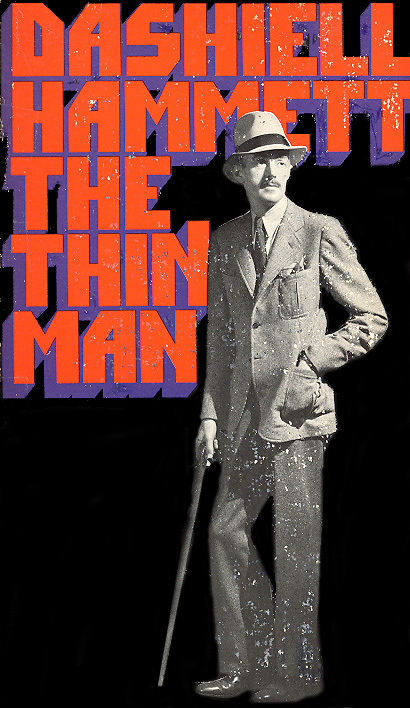 The Thin Man is perhaps Hammett's most famous book. It sold 20,000 in three weeks and 30,000 by the end of the year. In addition, MGM bought the film rights for $21,000. The film script was written in three weeks; it was filmed in eighteen days with Myrna Loy and William Powell and was released in June of 1934. It was an immediate box office success. Hammett enjoyed his success and drank away his profits in speakeasies and in the bars of Club 21 and the Plaza Hotel. Edgar Allan Poe, who created the first American detective stories, lived in New York City for a year and a half between January 1837 and July 1838 and later between April 1844 and 1846. He and his wife resided in Ann Street not far from "newspaper row," home to more than 20 journals. 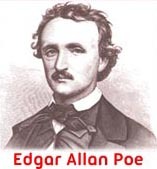 Poe worked first as co-editor of The Broadway Journal and later at the Sunday Times and Evening Mirror. Although he created a fictional French detective who lived in Paris, Poe based many of the events and details of "The Murders in the Rue Morgue" (1841) on actual happenings reported in the New York newspapers of the time. The tour will visit sites in lower Manhattan such as the livery stable from which a huge ape escaped and then opened a window in an adjacent house and attacked a child, nearly scalping him. Nearby on Broadway a woman's throat was slit with a razor in broad daylight. Another article recounted the bizarre episode of an escaped lunatic swinging on the window shutters of a house and peering in at the residents, grinning like a yellow monkey. Poe's second detective story, "The Mystery of Marie Rogêt," was written in Philadelphia in 1842 but published in New York in Snowden's Ladies Companion in three episodes between November 1842 and February 1843. Mary Rogers, "the beautiful cigar girl," lived at her mother's boarding house on Nassau Street and worked on Broadway at a tobacco shop. A furore broke out when she was found in the Hudson River having been strangled and sexually violated. The police investigation failed to find the culprit. Poe's story boldly offers a solution to the police based on public reports. The tour includes key sites from the narrative.